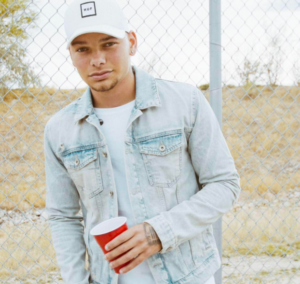 It seems like Kane Brown is about to go on a roll at country radio. Kane Brown was an artist on the rise for a few years in the country world. He built his audience before ever signing a major label record deal. He was kind of the next big thing when that happened. But his streams and sales always seemed to be the main thing. And those are great things to have. But most artists still want success at country radio. And that was a tricky thing for Kane. He couldn’t quite breakthrough on the traditional radio scene. But that’s over now. Kane’s last single, What Ifs, with Lauren Alaina has reached the #1 spot at country radio. It’s been a huge single and things should be off and running for Kane as far as radio goes. Here is what I think is the next single from the album. It’s another good one. I think Kane has found his voice. He’s always had a really traditional sounding country voice. He could nail traditional country covers. He could also cover more progressive country by adding his own flair. And I think that’s the niche he’s found. I think he said himself that he’s a little traditional and a little progressive. Like Garth Brooks and Sam Hunt. Or a little Alan Jackson with Cole Swindell. And those are good combinations. And another good thing is there isn’t another Kane Brown on country radio right now so he stands out. People recognize his voice and are loving his music. This new song is a good one. Great beat. Uptempo. Something you can sing along with. It’s about a guy that’s grateful for all the things that have led to him finding this great girl. He wasn’t look for her, but he’s incredibly happy that things worked out the way they did.